This is a brief tutorial on the construction of shadows as they are cast from the sun. We all know how descriptive they are, the long shadow of a fence over a path, a telegraph pole over a road, spreading from the feet of people on the beach at the end of the day. Shadows in a painting tell the viewer more about the day than you might expect. A shadow crossing a road shows how high the verges are relative to the road, describing the shape of the land. We instinctively understand from shadows what time of day it is, even which season. If you understand how they are cast and how to get them correct you have quite a powerful tool in your painting box. Here I want to deal briefly with the simplest of possible cases, but hopefully give you an idea of how the same methods might be used in more complex scenarios. 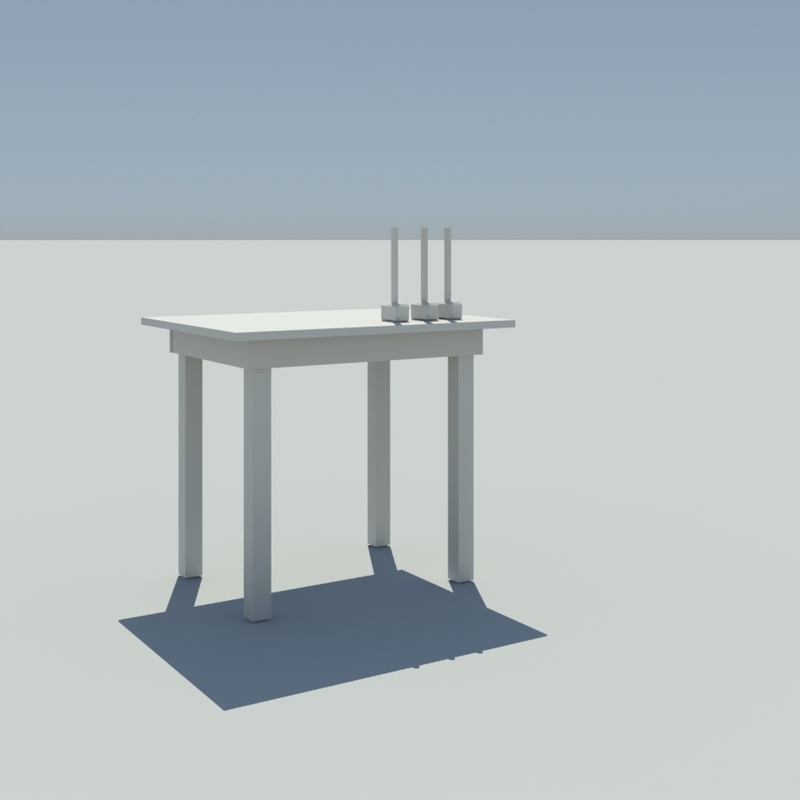 So our first example, a set of posts. The time is 1pm. See the changing angle of the shadows and how although in reality all the shadows are the same length in our perspective view they vary in thickness and length. Let’s move the clock on an hour. Here we are at 2pm the sun is at it’s highest due to the magic of daylight saving summer time! People often imagine the shadows are splayed because the rays radiating from the sun, but this is not the case. The sun is 93million miles away so if we looked straight down from the top all the shadows would be the same length and parallel. So the effect of the shadows splaying is due to perspective and nothing else. On one more hour. No surprises here at 3pm the shadows have swung round and lengthened again as the sun has dropped nearer the horizon. So let us look at 2pm again and look at how things got to where they are. A very tall skinny illustration since we have to get the sun in! First the Red lines. If we drop a line vertically down to horizon we find it hits exactly at the point where the shadows converge at the horizon IE, the shadow’s Vanishing Point. 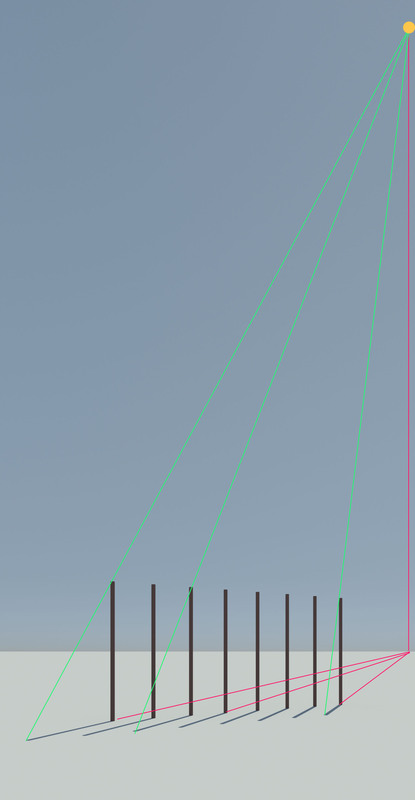 If we had the shadows and no sun (as we might have in a reference photo) we could extend the shadow lines to the horizon and then project that point vertically up. We know the sun must be on that line… but where? For that we need the Green lines. If we start from the sun again and fire a ray from the sun so that it skims the middle of the very top of the pole. Where that ray hits the ground marks the length of the shadow. 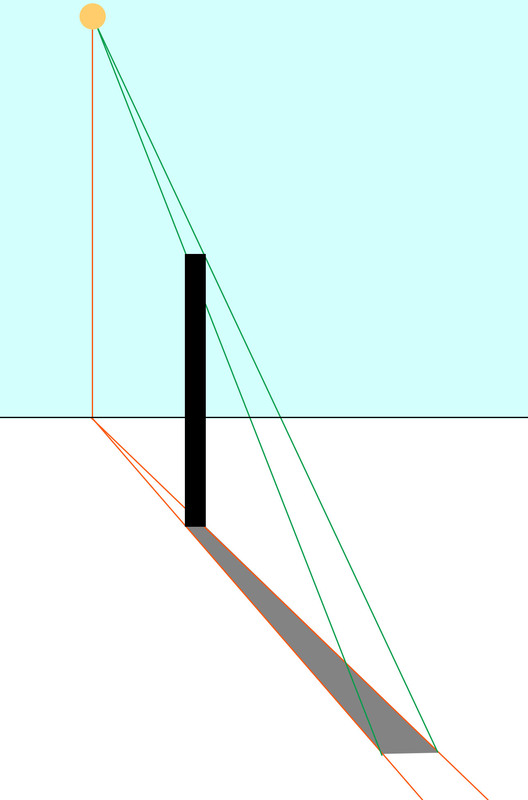 Once again if we work backwards we can draw a line from the end of our shadow and through the middle of the top of the pole, extending it on we find it crosses our red line at exactly the sun’s position. Here is a simplified version with just a plank. As you see it also shows how the shadow gets wider in perspective as it gets nearer. 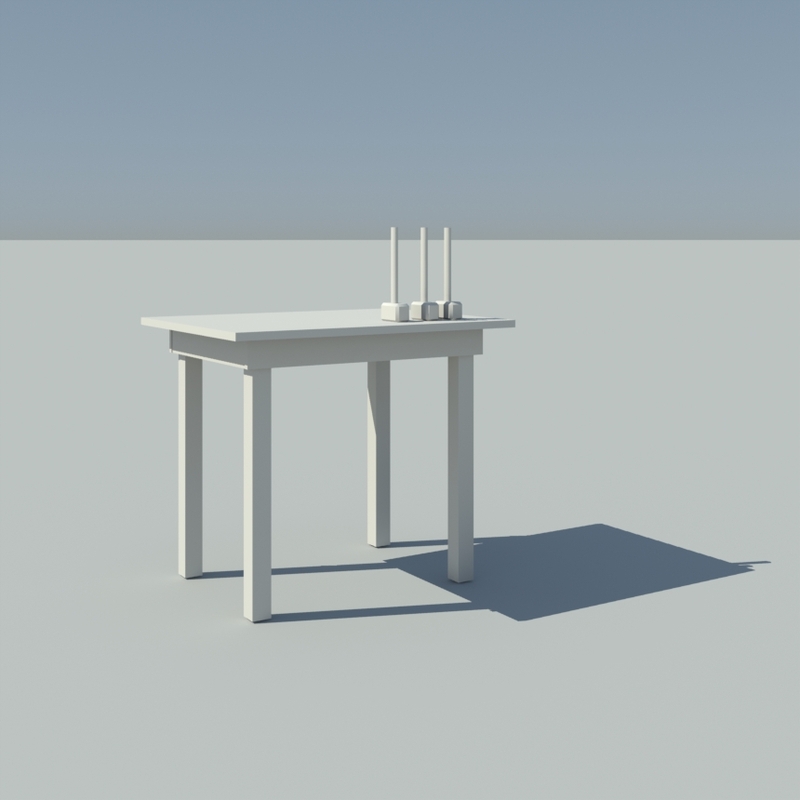 Now a more complex example, a sculptor’s table with hammers upon it. First a quick video. You can drag the slider and watch the shadows in motion. Once again here are a few times of day. Here is our table at 10am. …and at 12pm. Compare the two images and see how the various parts have moved. On 2 more hours. Finally here we are at 2pm with the sun at its highest. Time for another tall skinny illustration with coloured lines! Starting with the red lines. A line from one corner of the tabletop shadow then taken through the real corner and extended up crosses the same line drawn from another corner (any corner will do) at the point where the sun is. 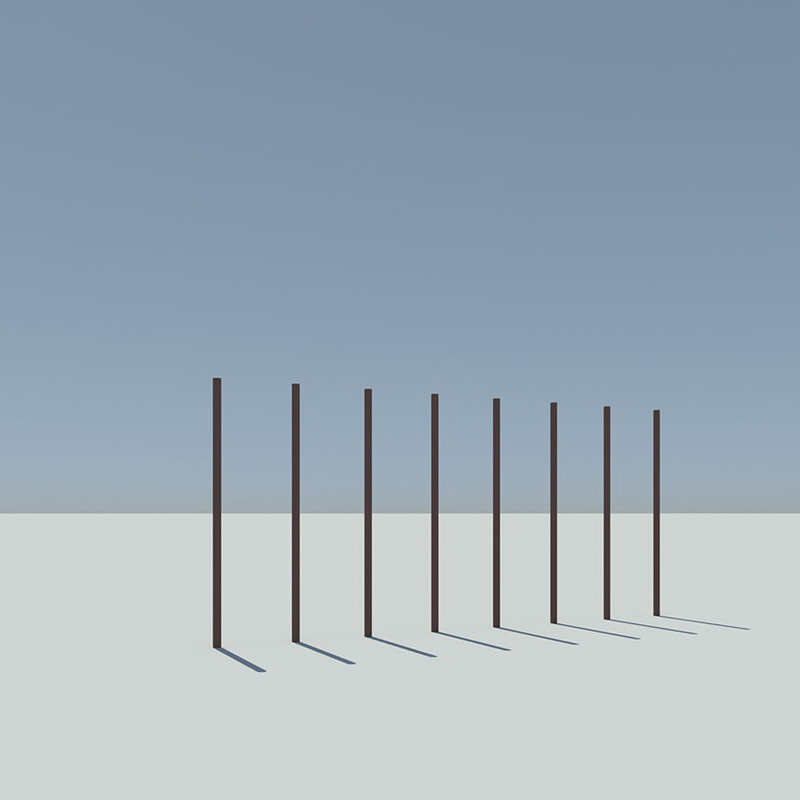 The blue lines show the splay of the shadow of the table legs and obey exactly the same rules as the posts did. 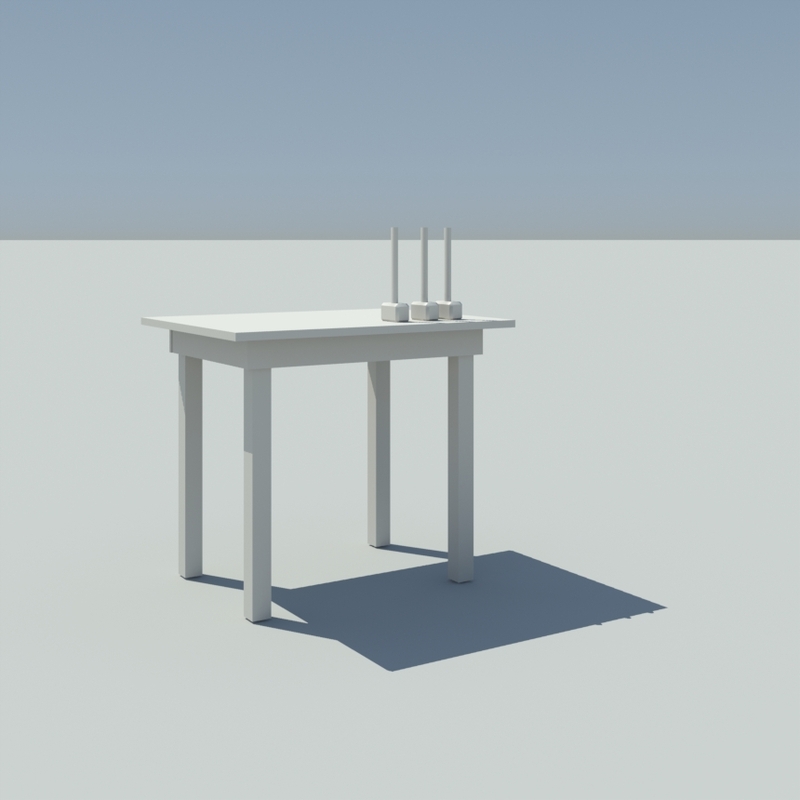 The two vanishing points of the sides of the table top shadow are exactly the same as the vanishing points for the table top itself. Similar rules govern how shadows from artificial lights are placed. If the ground is sloping or the posts at an angle then obviously the geometry gets more challenging. A more complex description is on the excellent Handprint site.